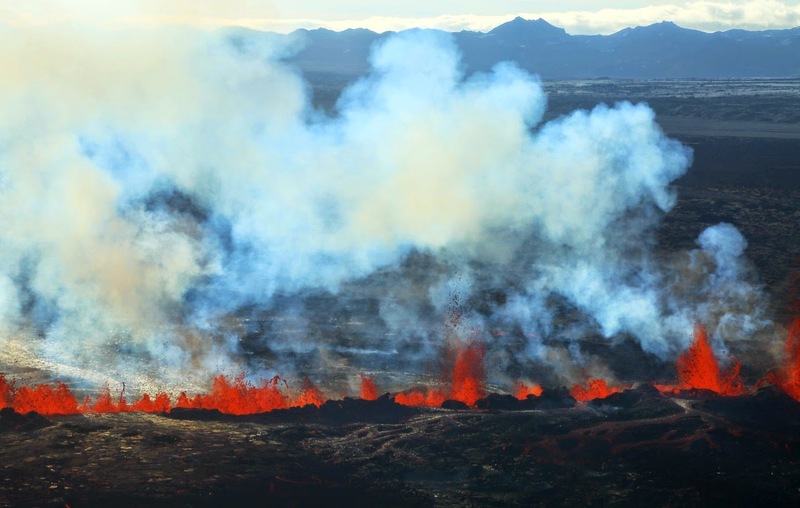 Iceland's Barðarbunga volcano has been erupting since Aug. 29, with lava shooting out of the ground on the Holuhraun lava field about halfway between that volcano and a neighboring volcano called Askja. 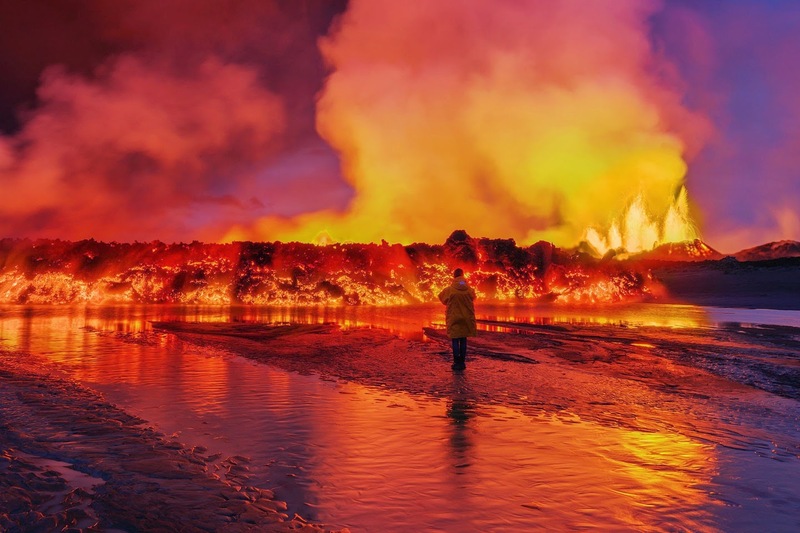 The lava has flown out of the collapsed crater of Bardabunga, known as a caldera, in a nearly 30 mile long dyke, before reaching the Earth's surface. 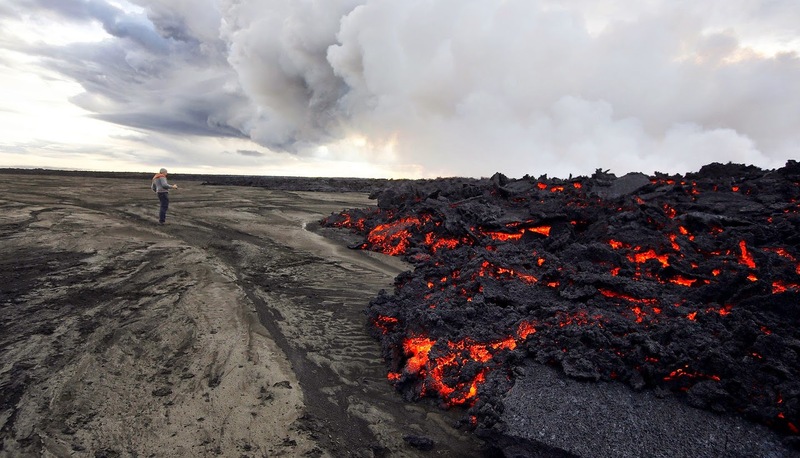 The flow of molten rock, or magma, out from underneath the volcano, through the dyke, and out of the ground has been so significant that the caldera itself — which sits underneath the Dyngjujokull glacier — has sunk by more than 61 feet, which is the largest amount of subsidence observed in any volcano in Iceland since such observations began in about 1950. Due to the magma movement and the sinking volcano, earthquakes continue to rattle the area, with a 5.5 magnitude quake last Wednesday, and a 5.3 magnitude quake last Thursday. 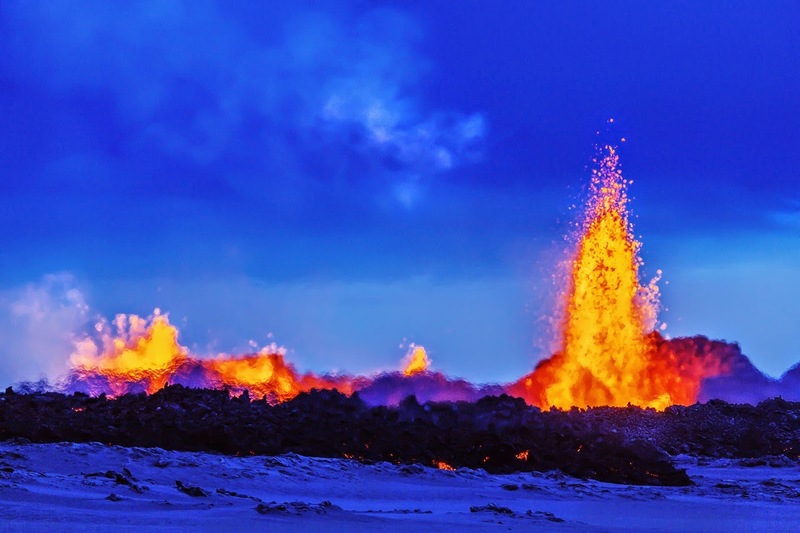 Scientists studying the volcano from the air and the ground have had to contend with hazardous plumes of sulfur dioxide gas that are streaming from the fissure in the ground that opened up on the Holuhraun lava field, like a scrape on a person's skin. The gases may pose a health hazard to populated areas downwind of the eruption, and have been detected as far away as Norway. The scientists are still unsure exactly how the eruption will proceed from here. 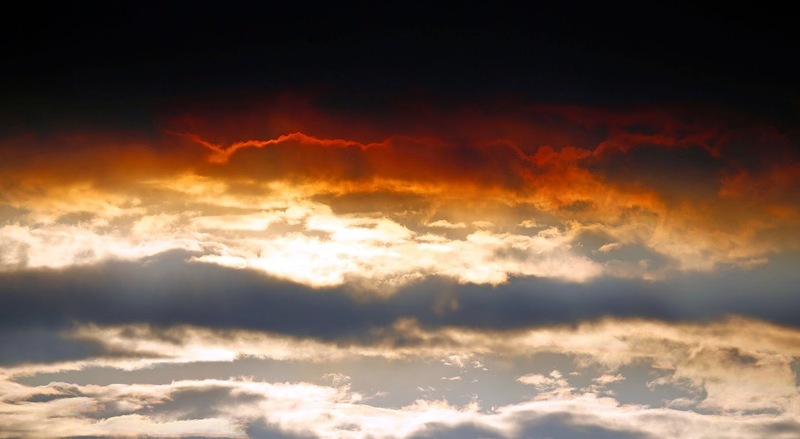 It could eventually result in flooding or an ash-producing eruption that would disrupt trans-Atlantic air travel and, if it is large enough, exert a cooling influence in the Earth's climate. For now, though, the eruption is relatively benign, and absolutely beautiful. 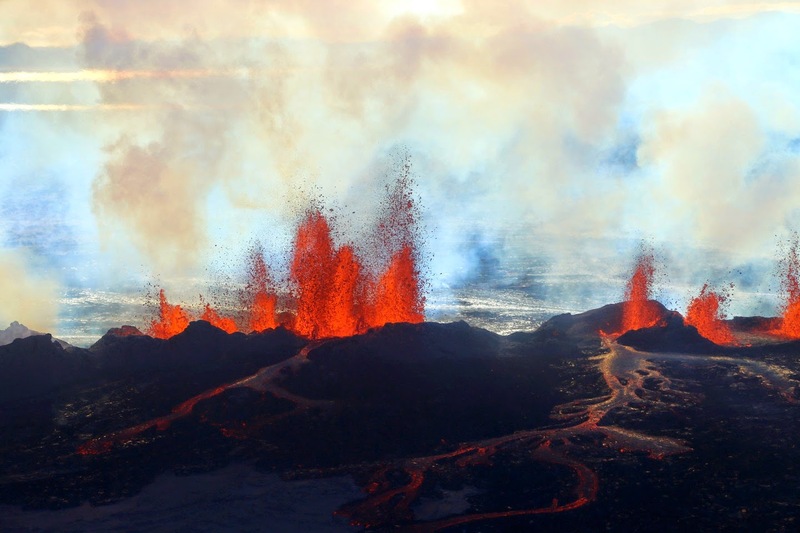 In this aerial view, fountains of lava, up to 200 feet high, spurt from a fissure in the ground on the north side of the Bardarbunga volcano in Iceland on Sept. 2, 2014. 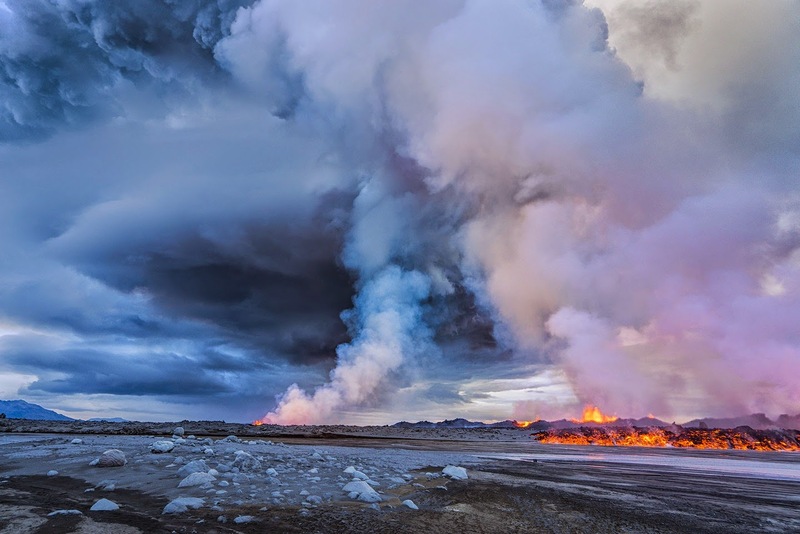 The sky over the site of a lava eruption on the Holuhraun fissure on Sept. 1, 2014. 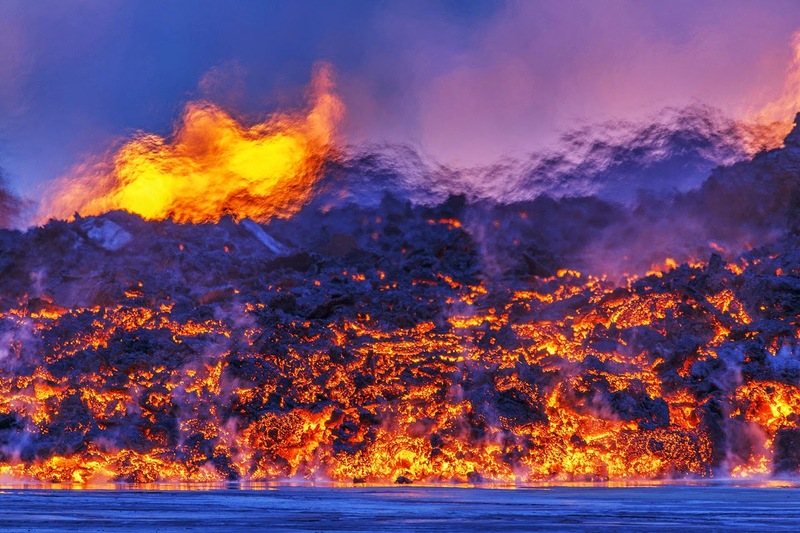 An aerial view of fountains of lava on the north side of the Bardarbunga volcano in Iceland on Sept. 2, 2014. The cost per person is €250 from Mývatn, and the truth is this one is highly recommended (do not overpaid for this! ).